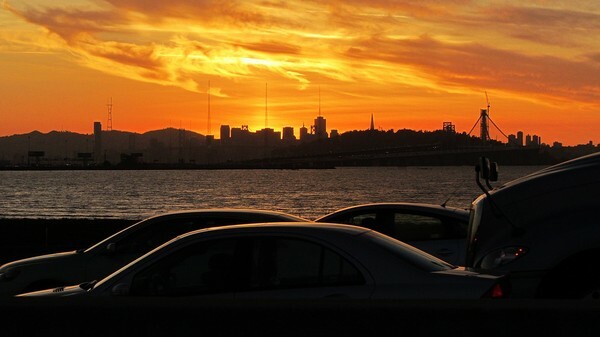 San Francisco Real Estate Agent | Cece Blase | Stock market woes: how will this affect the Bay Area real estate market? The stock market’s turmoil has been unsettling for most of the country over the last 48 hours. Reports are rolling in that close to 2.1 trillion dollars have been lost to the “indigestion” that the market is suffering from. The Dow, S&P 500 and Nasdaq have all tumbled into correction territory, their first such 10% decline from a recent high since 2011. Market dips raise red flags for homeowners, who are concerned about how these international turns will affect their home’s value. Patrick Carlisle, Chief Market Analyst at Paragon Real Estate Group offers his insight to how despite the doom and gloom headlines, and it is not time to hit the panic button yet. Carlisle weighs in below on what is happening in the market and makes a few predictions of where things are headed. This series of helpful charts help illustrate the finer points of market trends discussed by Patrick Carlisle Chief Market Analyst for Paragon Real Estate Group. Housing prices, under normal conditions, do not react at all to short-term ups and downs in the stock market, though depending on how dramatic they are, they can temporarily slow activity as buyers wait to see if something really serious, with long-term ramifications, is developing. It is generally the more affluent who step back and wait, since one they have much more wealth in financial investments (stocks), and two they are much more in tune with financial market movements. Housing prices are not a liquid bid-ask market – our area has small numbers of relatively unique homes in San Francisco, not millions of uniform shares of stock – and sellers always react more slowly to economic downturns since they don’t want to reduce prices if they don’t have to, and no one can make them sell. There is a built-in delay in sales between offer negotiations and closed transactions, so it takes a while for price movements to clarify. Besides U.S. economic conditions, there are the existing boom economic conditions in the Bay Area, which means our housing market may react differently. The S&P 500 to begin to compare the stock market to the various Case-Shiller Index Bay Area home price tiers. Different price tiers had bubbles and crashes of different magnitude due to the subprime financing (and refinancing) fiasco. Finally, make sure to note that while the latest stock market decline is indicated, other short-term fluctuations will not show up in year to year figures. 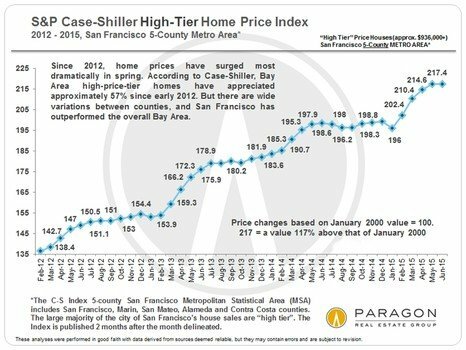 Generally, all market segments react to big, sustained, macroeconomic events as can be seen in the 3 S&P Case-Shiller charts below for the low, mid and high-priced tiers of the Bay Area home markets. However, it is interesting that when the dotcom bubble burst, only the mid and high price tiers’ home prices were affected (and then, briefly), and the high-priced tier was impacted more than the mid-tier. The buyers in the high tier were much more affected in their wealth by the crash in the Nasdaq, especially in the Bay Area, and the most affluent buyers drew back the most as they waited to assess the shake out.In the last cycle, the more expensive SF neighborhoods were the last to peak in value in early 2008, and the first to recover in late 2011- early 2012. San Francisco was generally much less impacted by the bubble’s crash than the rest of the Bay Area, state and the country though some neighborhoods were more affected than others. It is important to keep in mind that as markets cycle up and down, that reviewing data regularly with seasoned professionals will help consumers weather most storms. Based on current economic activity and conditions in the U.S. – there is very little chance of a U.S. stock market crash occurring in the near future (though the scale of an “adjustment”, if such happens, is unknown) and it’s quite possible the current dramatic volatility may soon become a distant and irrelevant memory, as other short-term economic events often have. And now for the fine print. . .